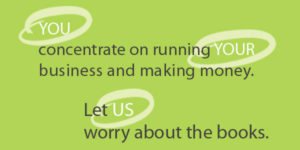 We offer business accounting that simple, smart and easy to the business owner. This includes the preparation of monthly management accounts, management reviews and interpretation results. Wouldn’t it be great to have your bookkeeping overseen by a CA to ensure proper and meaningful management accounts each month that you can use to make better business decisions? We don’t just input data but make it more meaningful for you as well as keep you up to date and taking account of what is happening with your figures.